As a trainee at Nordgetreide, you are offered an exciting range of tasks that encourage you to think outside the box. You start with an exclusive introduction day to help you gather an impression of Nordgetreide and your future tasks as a trainee. In addition to the professional and diverse training and the responsibility for project work that you will be assuming, you will also have the opportunity to participate in the nationwide remote business simulation “playbizz”. Furtermore, we also organise regular trainee-exchange meetings, and you also have the opportunity to work at other sites. Nordgetreide offers a total of six training scheme. Find out more about the individual opportunities, choose your preferred training programme and send us your application! 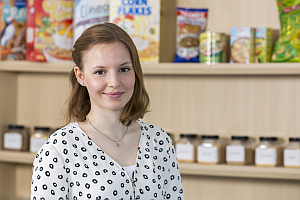 This practical Bachelor course of study is offered in partnership with the Fachhochschule Lübeck to train young talents to work in the food industry. This dual study course lasts four and a half years in total and culminates in the awarding of the title “Bachelor of Engineering”. Alongside your studies at the Lübeck University of Applied Sciences, you will receive vocational training at Nordgetreide in cooperation with the vocational school in Neumünster with the ultimate goal of qualifying as a Food Technology Specialist. Once you have successfully completed the course, you will have a wide variety of opportunities in food production, including jobs in production planning, organisation and control, production quality assurance, process development and production management. As an electronic technician you are responsible for the machine maintainence in our production. 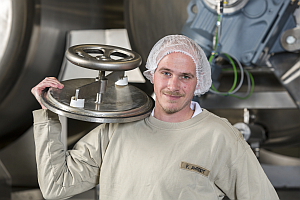 During your training at Nordgetreide, you will learn about all production processes and machines used in the production of our various breakfast cereals. You will learn to produce and mechanical parts for the machines. Furthermore you are responsible to lay cables and to connect them to our systems. Business Administration graduates are skilled in handling figures; after all, it's their job to do the maths for complex business operations. They are also capable communicators, acting and thinking in the interest of developing solutions to ensure that operations run smoothly. During your course of dual study at Nordgetreide, you will learn about all of the commercial and business management processes to help you understand the relationships between the different departments. You will acquire a broad knowledge of business administration as you regularly alternate between studying at the vocational college in Lübeck and apply your knowledge to practical situations. You will specialise in one or two areas, such as controlling, sales, human resources or logistics. This specialisation will be part of the topic of your Bachelor thesis. Right in the thick of it, not just close up. 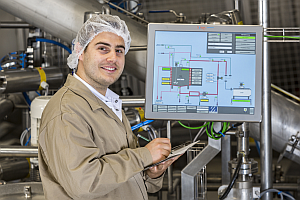 Food technology specialists operate and monitor the entire production process, from the delivery of raw materials to the final packaged product. You are responsible for setting up machinery and equipment prior to production in accordance with the diverse recipes, and for continuously monitoring the production processes. Food technology specialists also take samples from the ongoing production for the purpose of constant quality control. Your tasks also include the correct storage and packaging of raw materials and finished products. During your training at Nordgetreide, you will learn about all production processes used in the production of our various breakfast cereals. You control and monitor the entire production process, from the delivery of raw materials to the final packaged product. As an office clerk for industrial applications, you negotiate with suppliers, and request quotations for raw materials and ingredients. You then compare the quotations to place the order. In the sales departments, you work closely with our customers and production, and you prepare shipping documents for delivery. 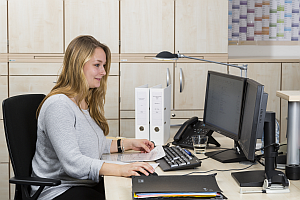 As a trainee, you will learn about all commercial and business processes in the individual departments in order to understand how Nordgetreide operates as a whole. This includes, for example, entering purchase and sales invoices into the company's accounting and billing systems and preparing cost budgets for products in controlling. Process Engineers in the milling and animal feed industries manage ongoing production processes and optimise the various procedures applied in the processing of maize. They also examine raw materials, work-in-progress products and finished products in the in-house laboratory, analysing them with respect to the various quality parameters. In our company, trainees will learn about the proper processing of maize in our special mill while working on our high-quality maize milling machines. In addition to your practical training, you will also attend the vocational school in Wittenberge for the theoretical part, which is structured into blocks. This focuses on modern process, such as the teaching of laboratory technology.